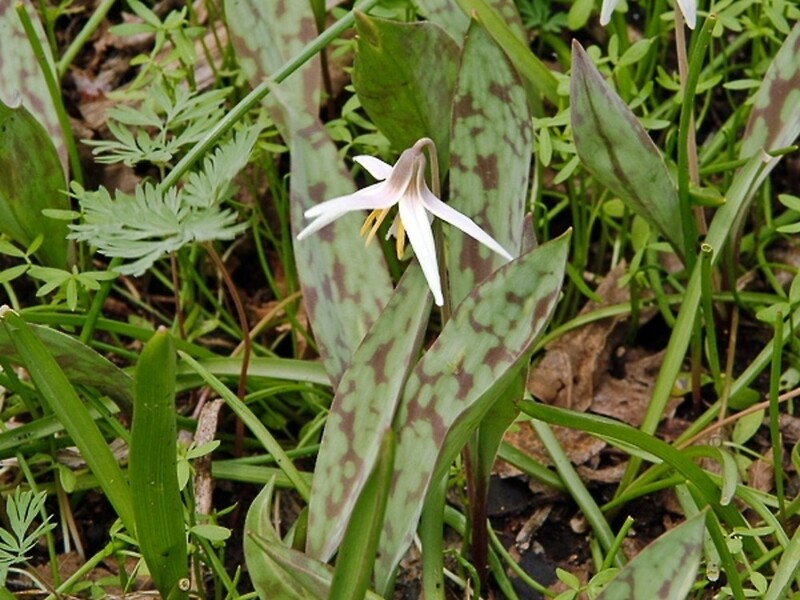 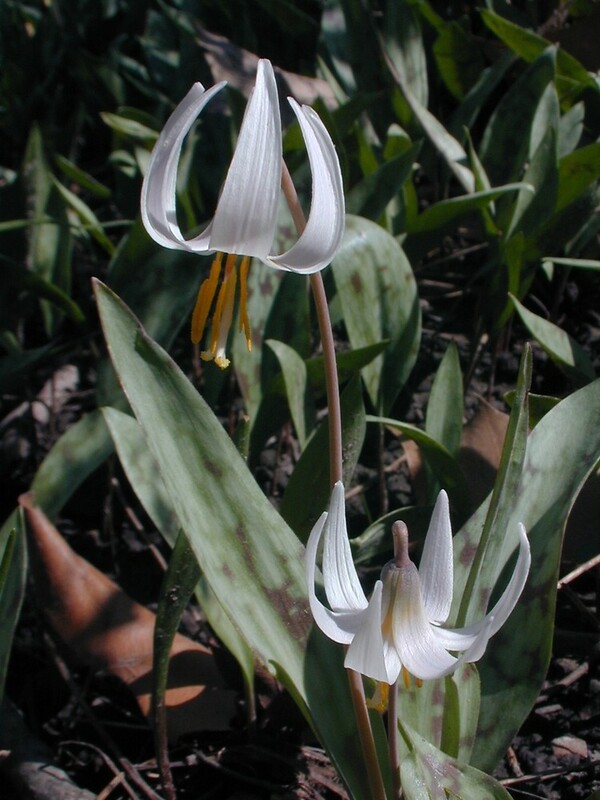 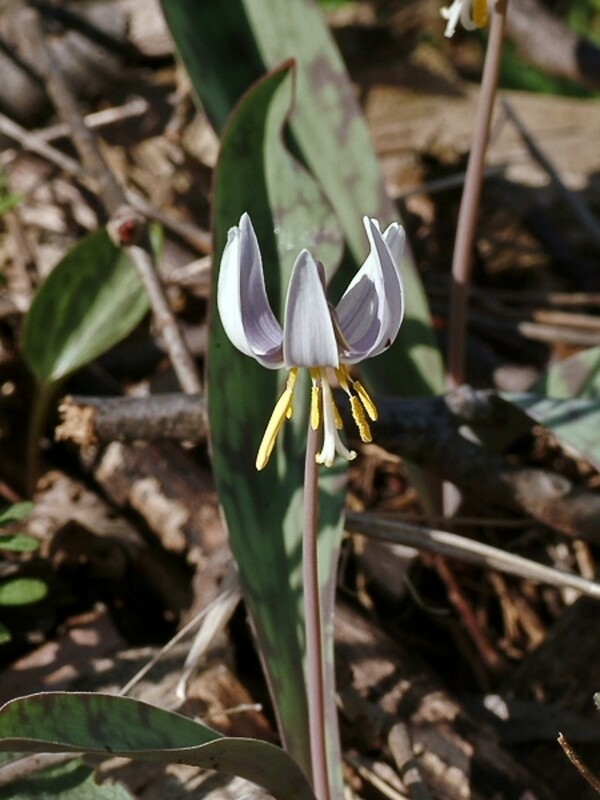 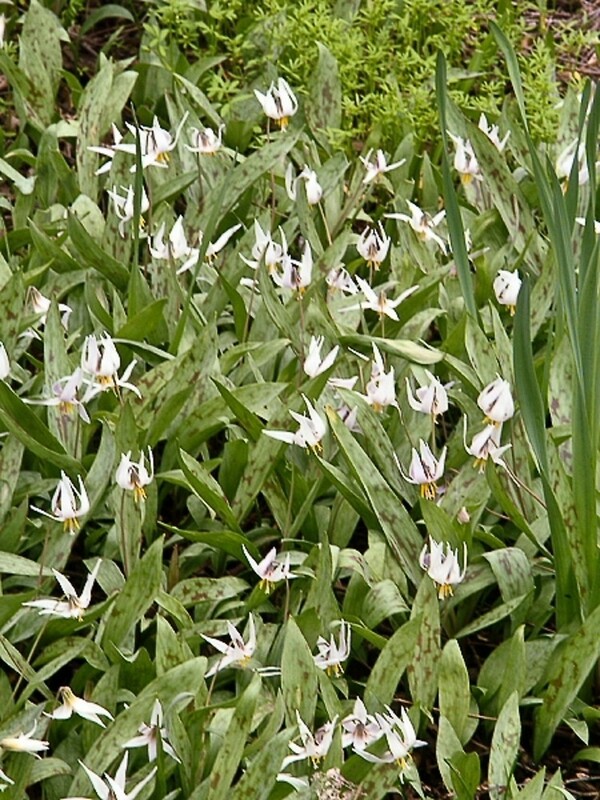 White trout-lily is a very attractive wild flower of eastern North American forests and woodlands. 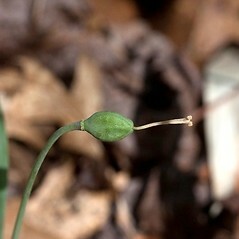 It is not native to New England, where it is known historically from a single population in Connecticut. 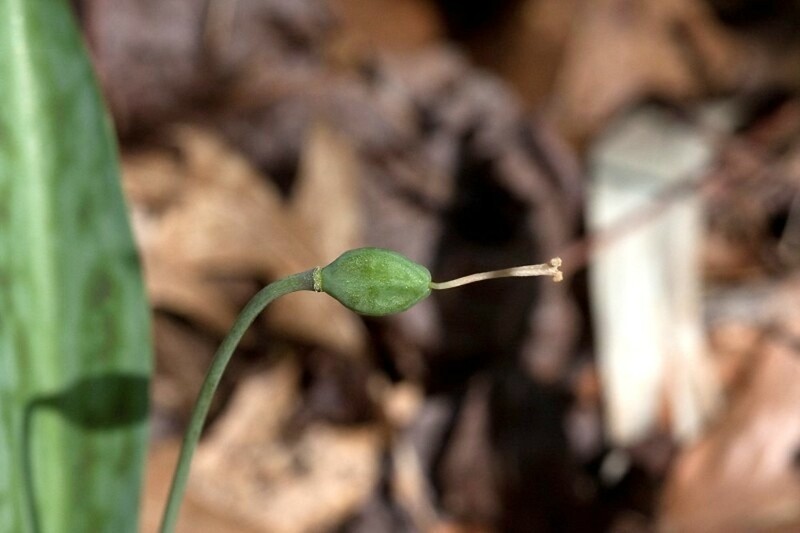 As an early-blooming wildflower it is sometimes cultivated in gardens. 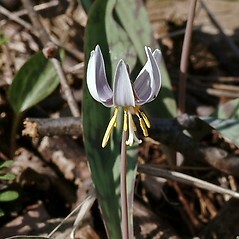 tepals yellow, the inner with small auricles, and style 5–11 mm long (vs. E. abidum, with tepals white and tinged with pink, blue, or lavender abaxially, lacking auricles, and style 15–25 mm). 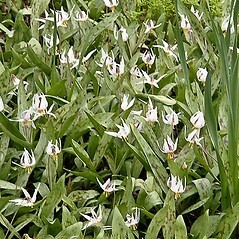 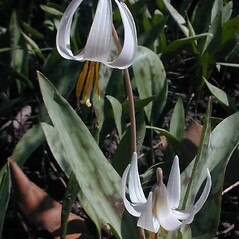 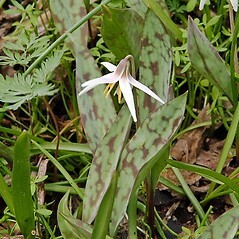 white trout-lily. 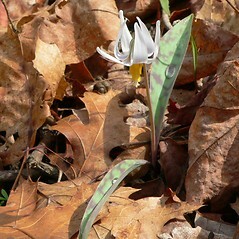 CT. Rich, mesic, deciduous forests. 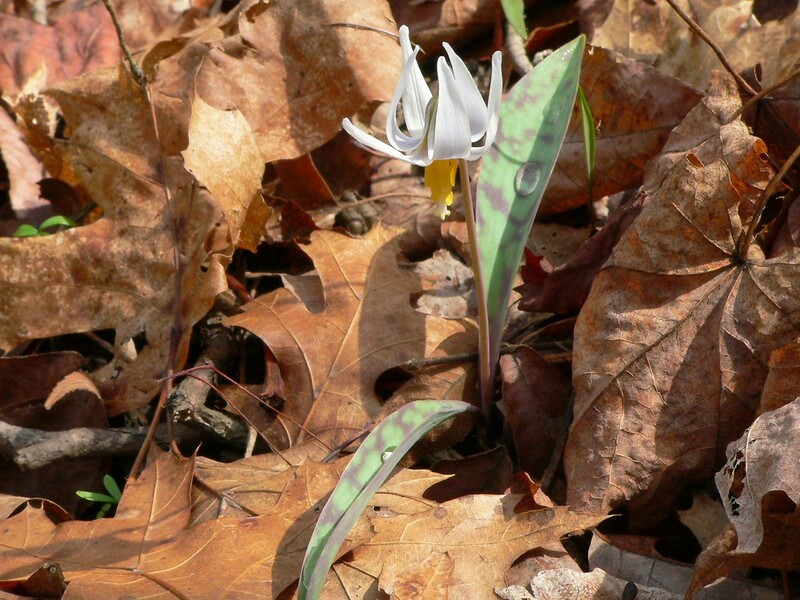 Known historically from a single naturalized population along the Farmington River.